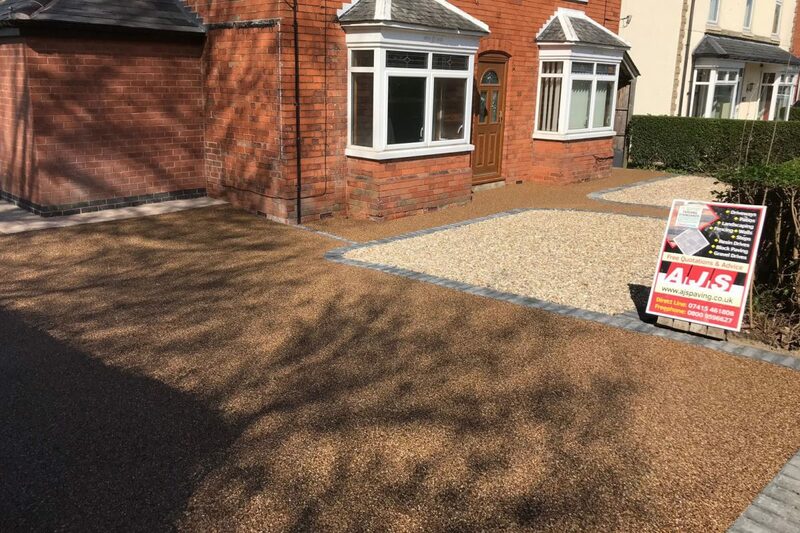 A fantastic new resin driveway to a large detached house in Edwinstowe, Nottinghamshire. 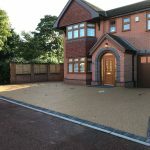 Featuring natural stone bound in resin, with grey charcoal block pavers around the perimeter. 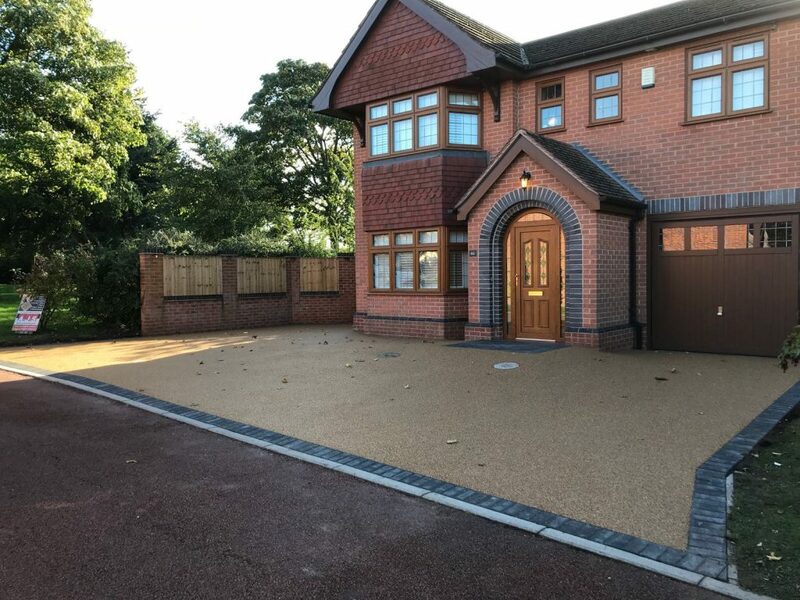 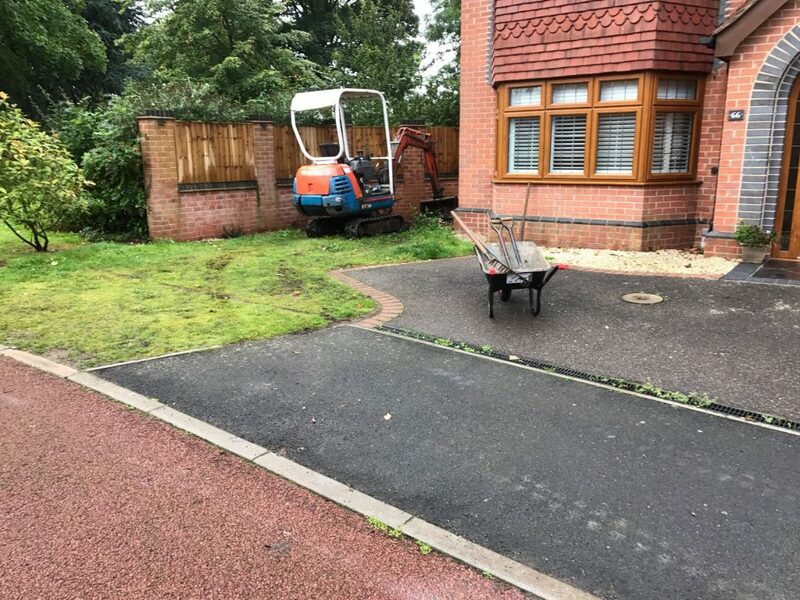 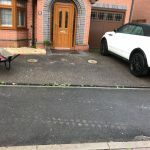 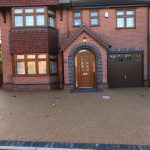 The driveway was enlarged and a sub-base of tarmac was laid across areas that previously contained soil and grass. 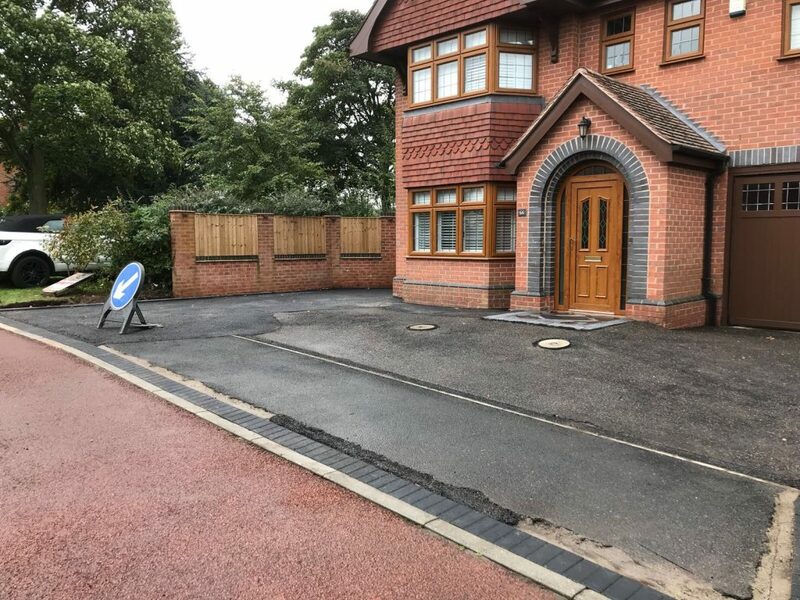 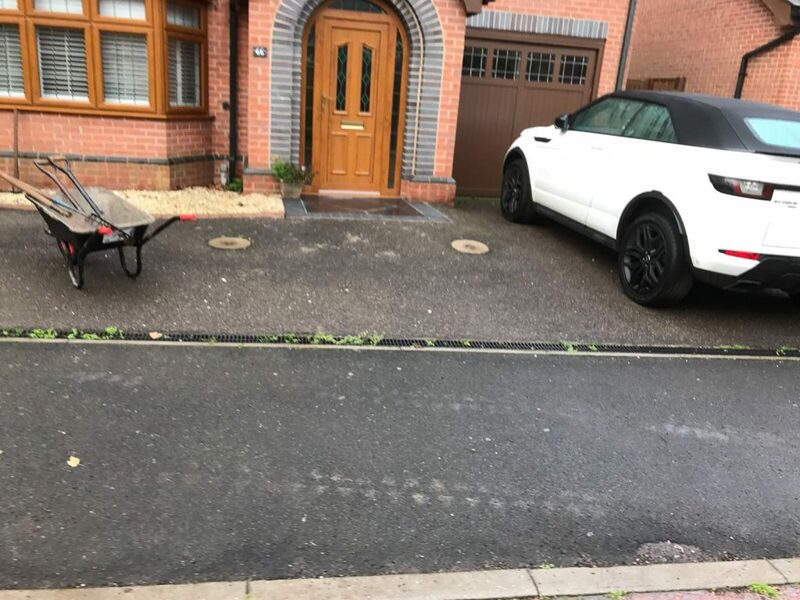 This driveway is now big enough for 5-6 cars and took just a week to complete. 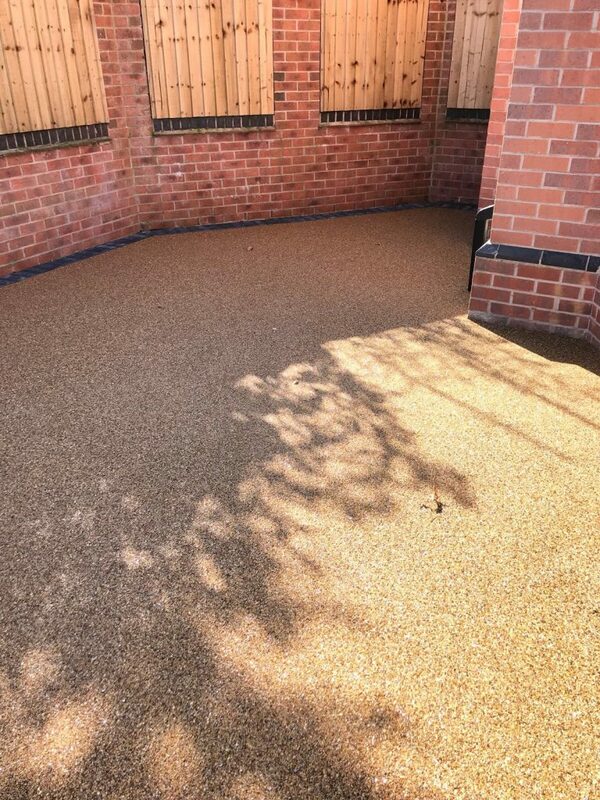 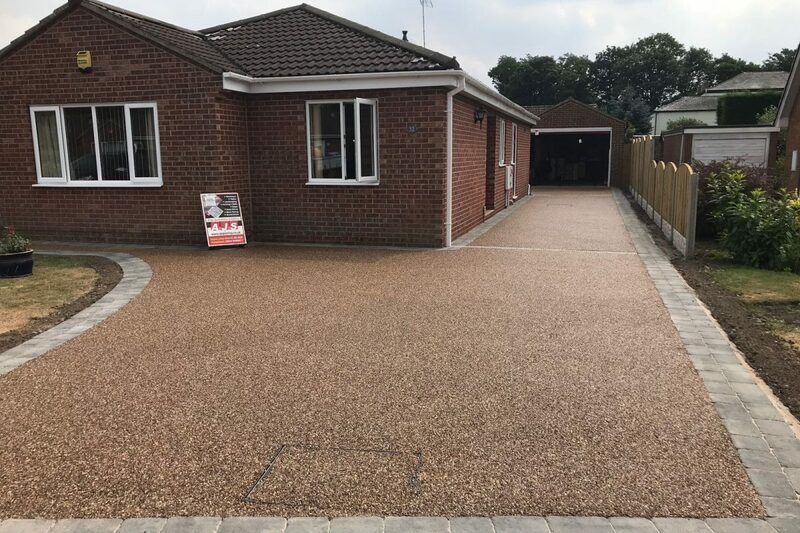 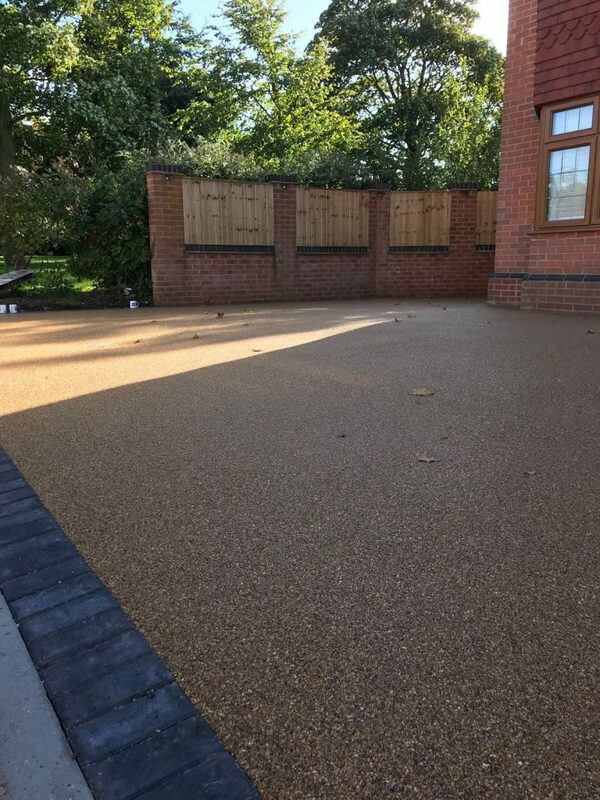 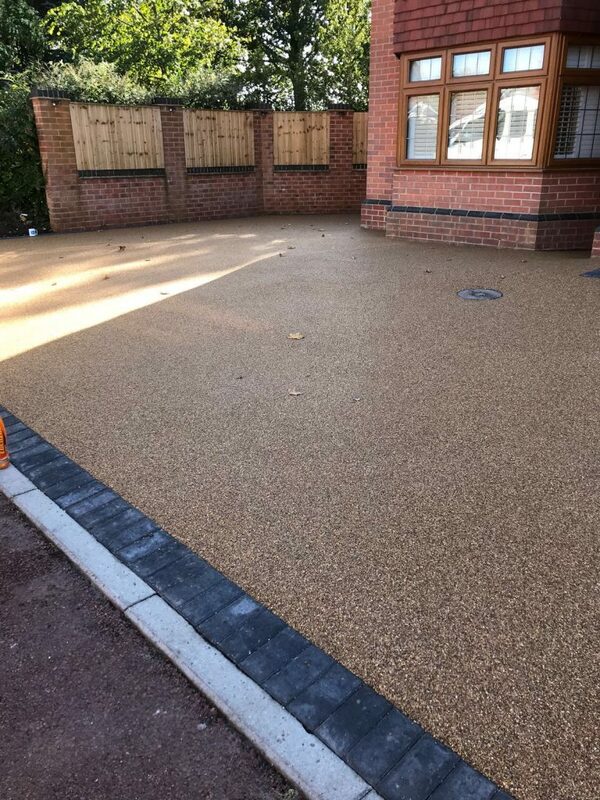 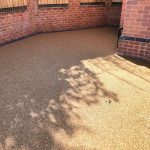 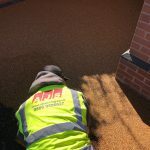 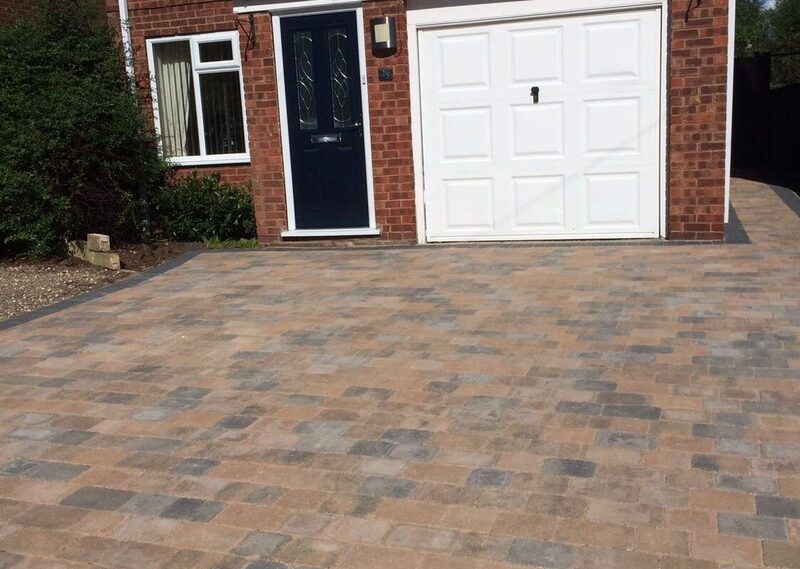 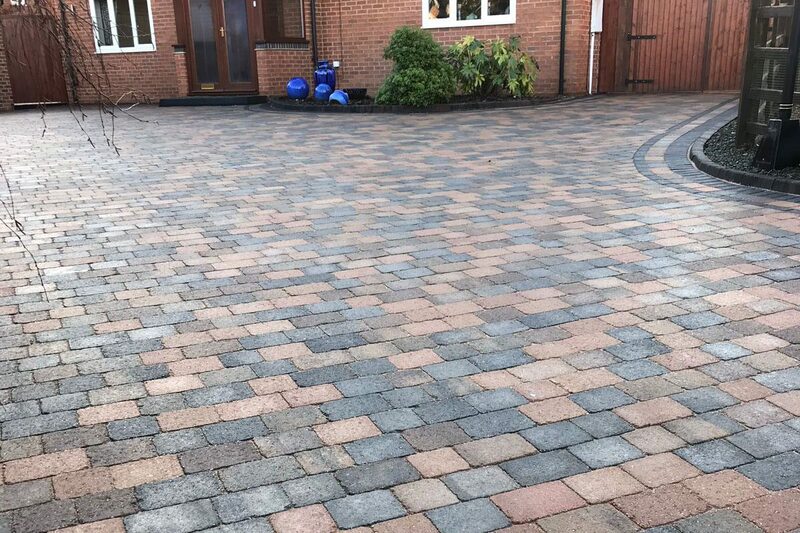 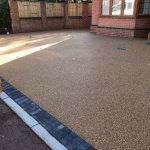 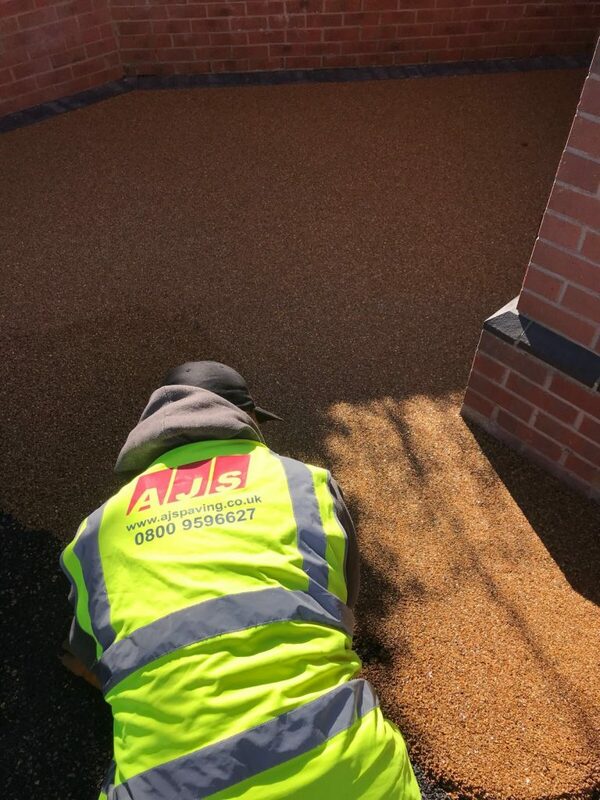 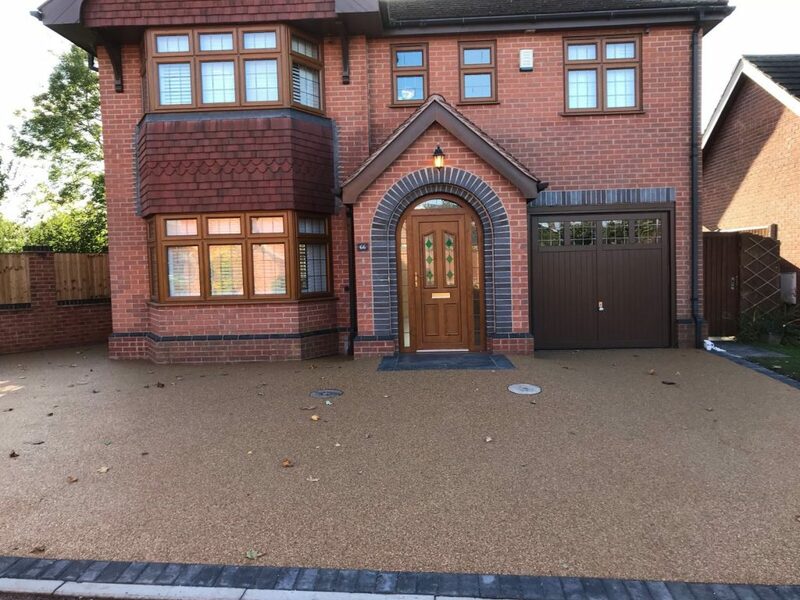 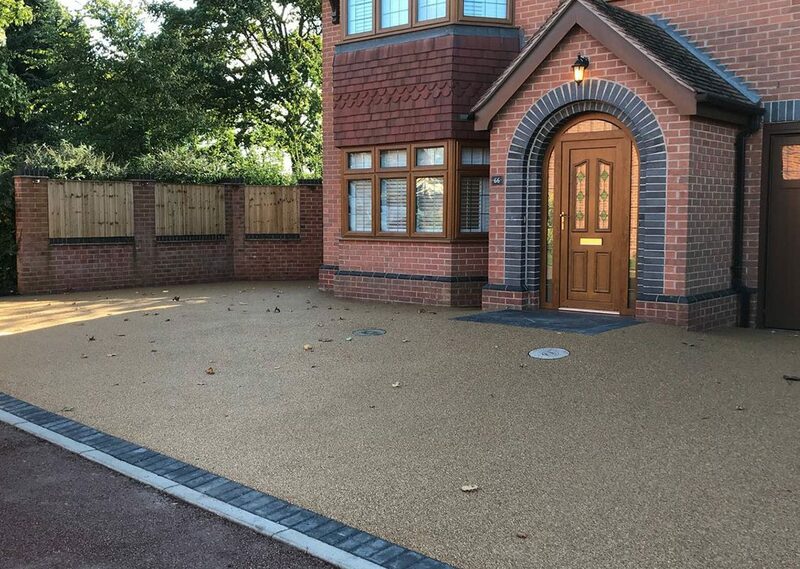 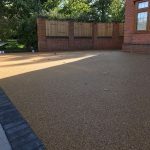 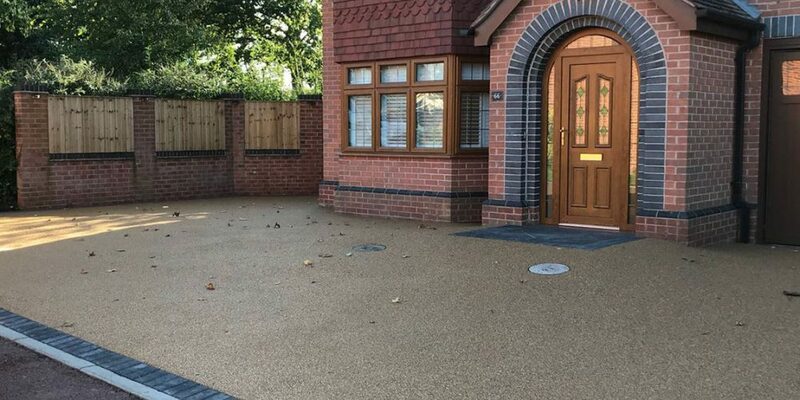 This is just one example of our Resin Driveways in Newark, Retford and surrounding areas. 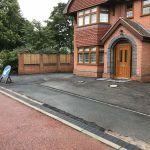 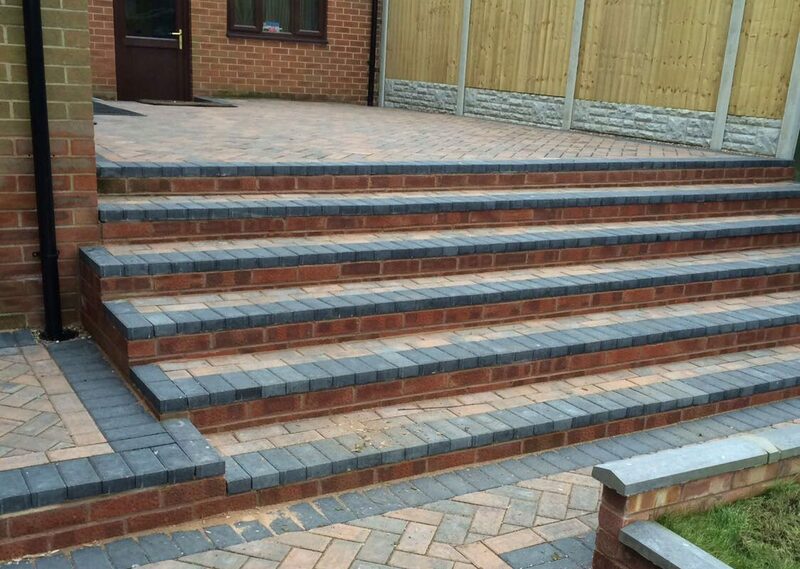 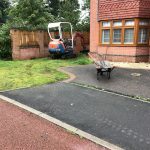 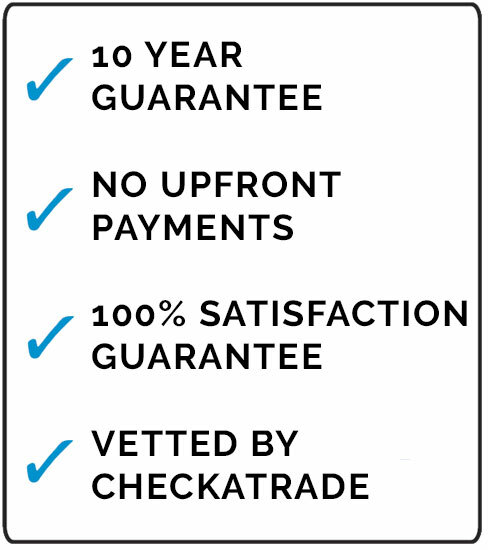 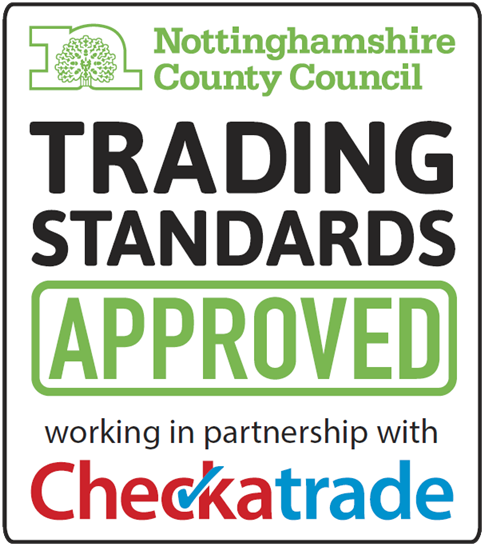 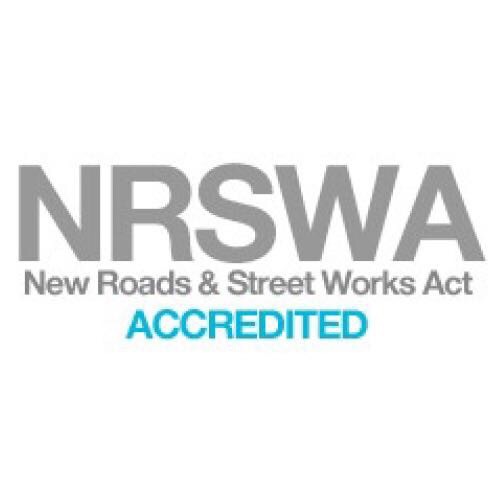 If you would like us to improve or enlarge your driveway, please get in contact.